A high-level seminar, organized and hosted by the OPEC Fund for International Development (OFID) at its Vienna headquarters on March 30, 2016 as part of a series of events to mark its 40th anniversary, had concluded that key actions to boost food security should concentrate on fostering partnership and cooperation among all the stakeholders as well as leveraging technology and innovation. With one in nine people on the planet still suffering from hunger, food security remains one of the major challenges facing the world today. Its importance is highlighted in the new Sustainable Development Goals, where SDG2 calls for zero hunger in the world by the year 2030. Held under the theme "The Long-term Challenges of Food Security" and with a focus on the Middle East and Africa, the seminar was chaired by Li Yong, Director-General of the United Nations Industrial Development Organization (UNIDO), and attended by ambassadors from OFID Member Countries, Arab States, and other partner countries, as well as by heads of Vienna-based international organizations. The main speaker was Mahmoud Solh, Director-General of the Center for Agricultural Research in the Dry Areas (ICARDA), accompanied by three discussants: Dr Ismahane Elouafi, Director-General of the International Center for Biosaline Agriculture (ICBA), Parvindar Singh, Managing Director of the Common Fund for Commodities (CFC) and Ambassador Amira Daoud Hassan Gornass, Chairperson of the Committee on World Food Security (CFS). In his opening statement, OFID Director-General Suleiman J Al-Herbish emphasized the importance, as well as the complex interrelation, of energy, water and food for human wellbeing, poverty reduction and food security. "Inadequate attention to these interactions often results in policies that create risks, inefficient resource utilization, and unintended consequences across the sectors," said Al-Herbish. In his remarks as Chair of the meeting, Li Yong touched upon the issue of connecting agriculture to industrialization in order to further improve global food security. Based on the experience of his home country, China, he highlighted the importance of strong leadership and policy reform that supports agricultural sector. The main speaker Mahmoud Solh explained that the growth in world population, coupled with climate change and water scarcity had posed significant challenges to achieving global food security. Nevertheless, he said, opportunities to end hunger do exist. 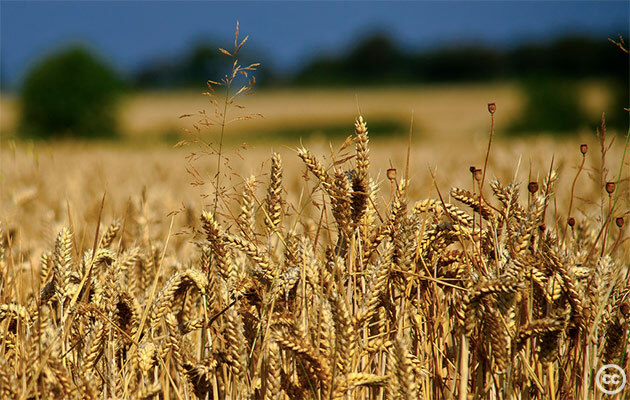 These include better technologies such as crop improvement, water, and land management, bridging the yield gap in wheat, and developing integrated livestock/rangelands/crops production at marginal lands. As discussant, Dr. Elouafi of ICBA stressed the need for innovation that should also look into non-conventional ways of food production, including the exploration of marginal lands, where about half of the world's 800 million hungry people live. She also suggested the use of non-traditional sources of water, beyond the fresh surface or ground water, such as seawater for irrigation and treated waste water from urban sources to grow vegetables. In his presentation, the second discussant Parvindar Singh of CFC said that sustainable food security required an effective supply chain from field to fork. This would include improved water management as well as efficient use of energy and soil. He also stressed the need to mobilize private sector investment in sustainable agriculture, specifically through enhanced policy incentives, such as the establishment of savings and credit institutions for farmers, complemented by risk management for farmers and traders. The third discussant, Ambassador Gornass, of CFS spoke of the value of involving all stakeholders in major policy debates and formulation. This should include not only governments but also other actors such as the private sector, NGOs and research institutions. She also mentioned the need to seriously reduce food losses and waste in the supply chain from production to processing to trading, which amounts to around 30-40 percent on average. The participants agreed to work together and build a strong partnership, including by involving the private sector, to end poverty and hunger as mandated by the 2030 Development Agenda. Content provided by OFID via Reuters.